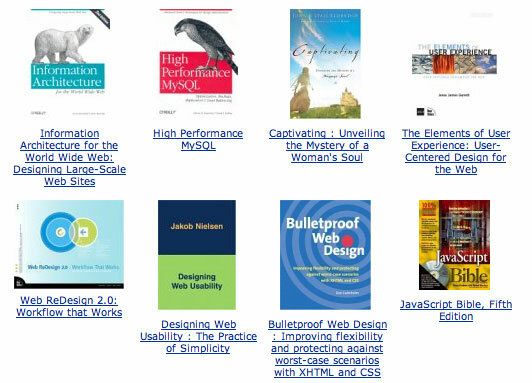 It’s the “Designing Web Usability” book. I’m reading it now and while there are lots of good points in the book it reads very dry. If you spend an afternoon reading old alertbox articles you’d pick up most of what the book is talking about. And if you are itching to read ink on dead trees about web usability I’d recommend Don’t Think instead. Much more pleasant of a read with lots of good advice as well. I’ve got Krug’s “Don’t Make Me Think!” book, and I agree, it’s good. That’s probably why the other book came up. Thanks for the tip!